In 1986 we started as four Christmas carolers performing for friends and charity events. We have grown to a group of thirty professional carolers. A Little Dickens Carolers entertains at more than a hundred events per holiday season! 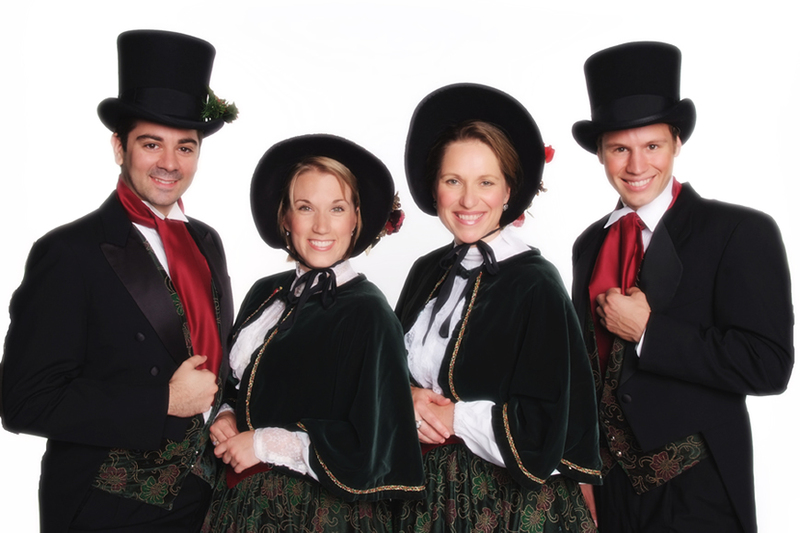 Our Christmas carolers perform for private parties; large corporate events; and Hollywood celebrity extravaganzas. All our Christmas carolers are professional, classically trained vocalists. Individually our singers can be found performing with the L.A. Opera, the Los Angeles Master Chorale. Some of our musicians perform in world-renown Vocal Jazz groups and numerous Commercials and Film Scores. We pride ourselves in being able to provide the most professional Christmas Carolers in Southern California. A Little Dickens perform from Newport Beach to Santa Barbara. We love bringing the holiday spirit to your party. Christmas Quartets/Octets in Party Attire, dressy or casual who sing jazzy arrangements along with traditional stuff. Carolers in Formal Dress who can cater to your musical tastes, whether traditional or more upbeat and fun. We can even show up in Ugly Christmas Sweaters if you like! Leanna Brand has been singing professionally since 1983. She has performed on over numerous film soundtracks and commercials. Film sessions include Star Wars, Avatar, King Kong, Despicable Me 2, DaVinci’s Demons, Planet of the Apes, and Men in Black. Ms. Brand has been a member of the L.A. Master Chorale since 1992. She has a Degree in Voice from CSU Northridge.